Explore a customized integration with Ableton Live. All Lightpad users get Live Lite free. 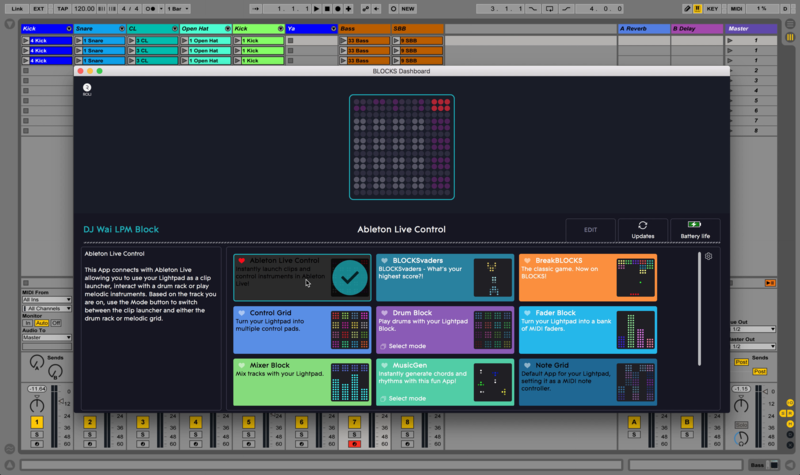 Ableton Live Lite is now available to all Lightpad Block creators. Ableton Live, the high-powered digital audio workstation (DAW) and sequencer, is a staple in music production. Combining tools for composing, recording, beat-matching and crossfading, Ableton Live’s versatility has made it a favorite of both producers and performers. Now all Lightpad Blocks — including the new Lightpad Block M — seamlessly integrate with Ableton Live. And all Lightpad owners get Ableton Live 9 Lite for free! So you can enjoy the dynamism of Ableton Live and control the DAW in a totally new way. See how it all works in our short film. Launch clips from the illuminated pads of the Lightpad Block’s LED surface. 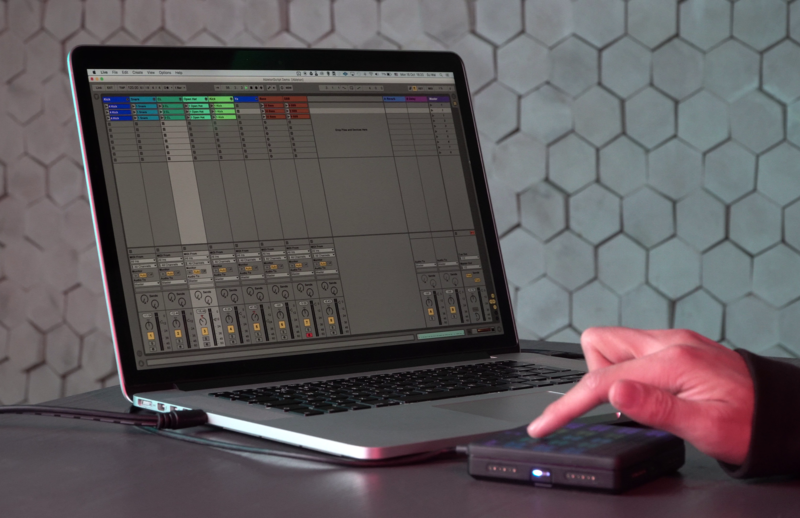 Combine the portability of the Lightpad with the versatility of Ableton Live. Features of the DAW include professional-quality audio recording, MIDI sequencing, a bank of studio effects and instrumental racks for creative sound design. Find out how to redeem your Ableton Live Lite license here. Want to experience the full power of Ableton Live? Upgrade from Live Lite, and you’ll save up to $100. Learn more about the upgrade path here. Live features powerful tools for tools for composing, recording, beat-matching and crossfading. And there’s even more good news for BLOCKS and NOISE creators. Our latest NOISE update makes it easy to bring your projects into Ableton Live. So you can sketch musical ideas on the go with NOISE and refine your loops in the studio using Live. 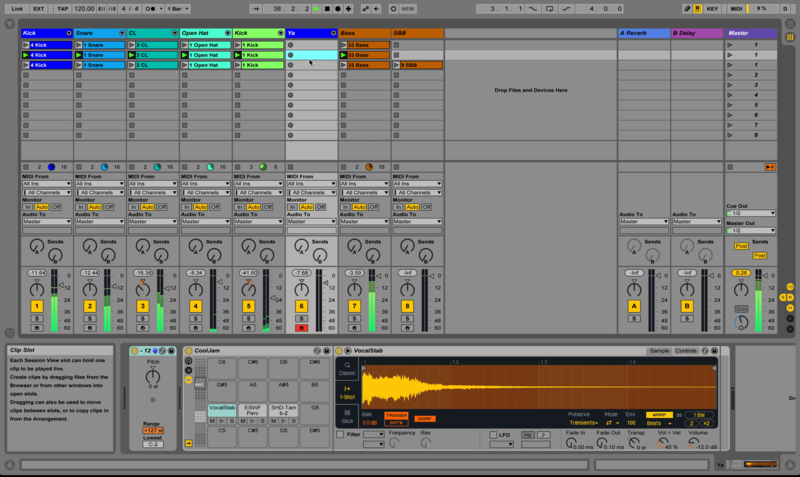 Learn how to export your projects into Ableton Live here and watch our 'How to' video. To use your Lightpad Block as a controller for Ableton Live, connect your Block to your desktop computer via a USB-C cable. Open BLOCKS Dashboard and load the ‘Ableton Live Control’ app onto your Block. The Lightpad Block will now be recognised as a plug in and play controller under the ‘MIDI Preferences’ menu in Ableton Live. In its default setting, the Lightpad will mirror the layout of Ableton Live’s ‘Session’ view. The colors on the illuminated Block surface will match the colors of your Ableton clips, so it’s easy to get started. Launch individual clips or entire scenes — and navigate around your project using controls at the top of the Lightpad Block’s surface. 'Ableton Live Control' mode in BLOCKS Dashboard. You can also play and record instruments using the ‘Mode’ button on the side of the Lightpad Block. Arm a MIDI track in Ableton Live and press the mode button to turn the Lightpad into a 5 by 5 grid for melodic instruments. Or load a drum track and play drums on a 4 by 4 grid. Don't hesitate to contact our support team with any questions about using BLOCKS and NOISE with Ableton Live. And share any projects you make — we can’t wait to hear them!